LEGO Worlds (game, 2015). A Lego-themed sandbox video game by Warner Bros. Interactive Entertainment/TT Games. Developed by Traveller's Tales, TT Games, Warner Bros. Interactive Entertainment. Official Trailer. LEGO Worlds is a Lego-themed sandbox video game by Warner Bros. Interactive Entertainment and TT Games, developed by Warner Bros. Interactive Entertainment, Traveller's Tales and TT Games. 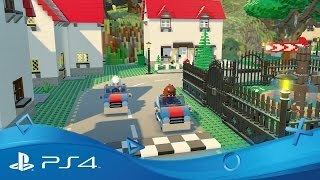 LEGO Worlds | Announce Trailer | PS4. Lego Worlds is a sandbox video game which allows players to build a world made up of Lego bricks. The player is rewarded for collecting objects spread across the map with "studs", an in-game currency. The player can build using the items they have encountered. Players can create their own world by using predefined Lego structures or using the "brick-by-brick editor tool". Players' appearances and outfits are customizable in the game. Terrain and environment can be modified via landscaping tools. A variety of vehicles, such as helicopters, and creatures are featured in the game. A multiplayer option and features for world-sharing have been added to the game through later updates. Lego Worlds is a sandbox video game which allows players to build a world made up of Lego bricks. The player is rewarded for collecting objects spread across the map with "studs", an in-game currency. The player can build using the items they have encountered. Players can create their own world by using predefined Lego structures or using the "brick-by-brick editor tool". Players' appearances and outfits are customizable in the game. Terrain and environment can be modified via landscaping tools. A variety of vehicles, such as helicopters, and creatures are featured in the game. A multiplayer option and features for world-sharing have been added to the game through later updates. 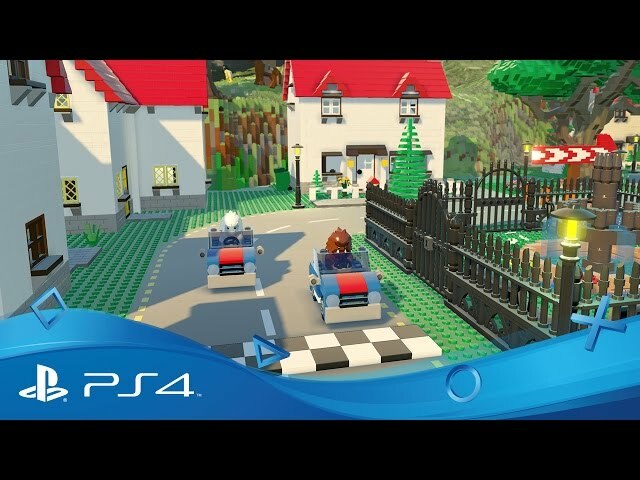 LEGO Worlds was scheduled to be released by Warner Bros. Interactive Entertainment and TT Games on June 1, 2015, on March 7, 2017, on September 5, 2017 and on September 8, 2017.